OK. Its no secret around these parts that I'm a fan of Beauty & the Beast. What part of this undiscovered world do you live in? Well, come pull up a chair & let's discuss my love, passion, obsession with this movie. & actually, its not the movie that I love. 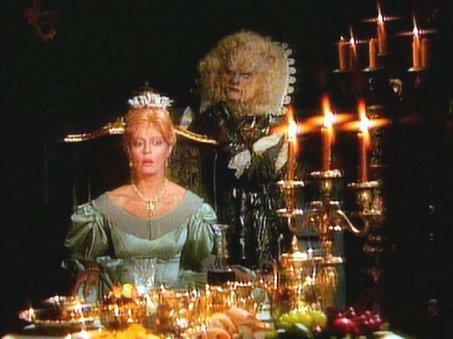 I've been in love with the STORY of Beauty & the Beast for as long as I can remember. I truly grew up just so enchanted with the idea of someone who sees the beauty inside of someone more than that outside appearance. That to me is everything... & then there's usually a way to become a princess or have a happily ever after? The best!!!! As a little girl, I was hooked. I grew up a reader by nature. My mom was a reader. My aunt sent me a book for EVERY holiday that existed & a lot of the books would be fairy tales. I know I had a set of the Grimm Fairy Tale books that I always used to pull out & read over & over. That's probably where I got my first taste of Beauty. Funny she's called something different in other tellings... or that the story varies from telling to telling. 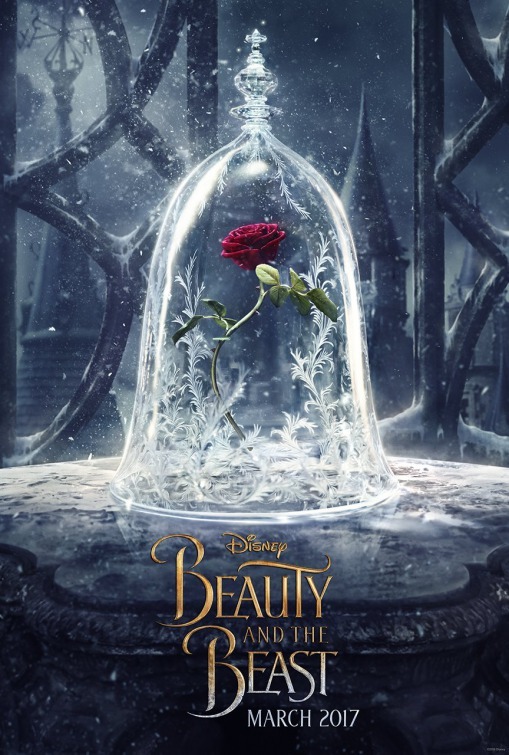 Mostly having to do her father taking a rose from a beastly owner of a home... which I'm so excited that apparently the new Disney Beauty & the Beast movie inserts that part in the telling of the story. Well, I can remember watching it in the basement of our home... like it was Star Wars or something epic. & I legit was scared of the Beast... but can remember feeling so badly for him. He always seemed so lost & sad. ... I'm also the girl that always ALWAYS feels bad for King Kong because he's misunderstood. It's the way I'm built. Then a few years later, they redid it again - & I believe this time, they added more of a musical quality to it. This one again has a star that some may recognize - Rebecca De Mornay... well before the Risky Business Days. If you want to see the movie trailer - I can't embed it because its been disabled... but you'll get a kick off it. & then, becoming a teenager, my heart totally got carried away & I swooned over Vincent from the TV show Beauty & the Beast... like total swoon. He was just the BEST. The man who looked like part of a beast but had the heart of a prince... & who could write some epic love letters at the end of every hour of a show. I cant tell you how obsessed I was with this show. Still am actually. I have the entire series on DVD & can still sit & watch them all. I can remember coming home from Kung-Fu with my dad as a teenager & needing to rush home to watch it. This telling was different... the Beast was different... kind but protective of those he loved Lived underground & not in a castle. The female lead was smart & an independent woman. Catherine Chandler. I always said if I had a daughter, I would name her Catherine Candler... & then I ended up marrying my own Vincent in real life. ... y'all - if I had a daughter named Catherine Chandler Vincent, my world would be complete. It's funny - Ricky & I were walking through a Wizard of Oz event with my mom one time & a guy stopped us & said, "Your hair is just like the Beast from the TV show of Beauty & the Beast".... I think he may be onto something. I think Ricky's eyes are even that same shape as Vincent's. 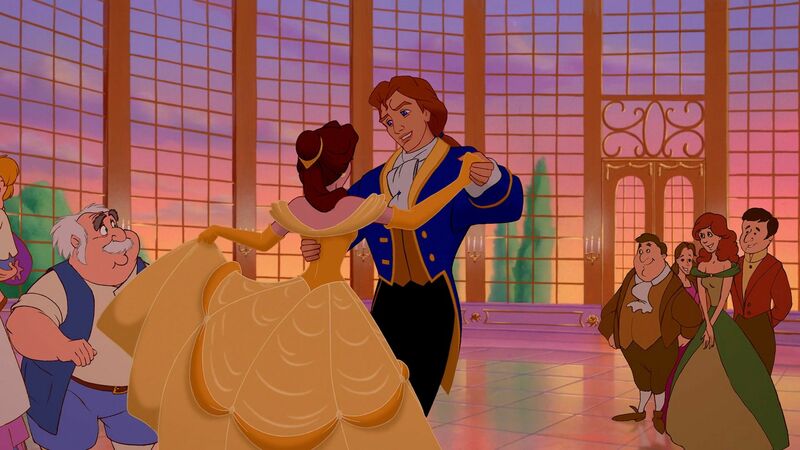 I have this movie poster in a bedroom & always am intrigued of Belle's dress. Never do we see her in a purple dress with a pink blouse. That always gets me. & let me tell you - I was totally enchanted all over again... I can remember sitting in the theater CRYING when he gave her the library... & the ending where he turned into the Prince again. My heart melted. Here was another smart, independent girl who loved her daddy, loved to read, stood up for what she believed in... but again, could see 'something there'... more than the exterior showed. I was so excited that this movie ended up making it to the Academy Awards! The first animated movie to be nominated for Best Picture. Says something. I ended up seeing Disney Beauty & the Beast in theaters back in the 90's 4 times. & then Ricky & I started dating in 1992 & know one of the first gifts he ever gave me? The VHS of the movie because it was just released. Yes - a VHS.. I still have it too. I watched it over & over...& learned every song... could probably say all the lines with the movie as it plays. Its sort of 2nd nature for me. & you cant tell me that when I see another "BEAST" turn into the hero, the Prince, he's got red hair again. & then my heart about burst when they took it & actually made it a Broadway musical!!! I think the first time I saw it, it was better than any Christmas morning I have ever experienced. I'm still waiting to be IN the play somewhere. The last school production, I told one of the students to let me come beg to just be a village person. I would be the happiest village person IN THE WORLD if that happened!!! Fun fact... The original Belle on Broadway was Susan Egan... & I knew her voice so well from the soundtrack... so when Hercules came out & I heard the voice that played Meg, I was like HOLD UP! Yep, she's the voice of Meg. No wonder "Wont Say I'm in Love" is one of my favorite Disney songs! I loved when they brought out another adaption in 2011... Beastly. I loved this movie. I know it had its corny moments too - but hey, when you love movies from the 80's & horrible green screens of subway riding beasts, this is top notch. There's also a book of Beastly if you're interested. 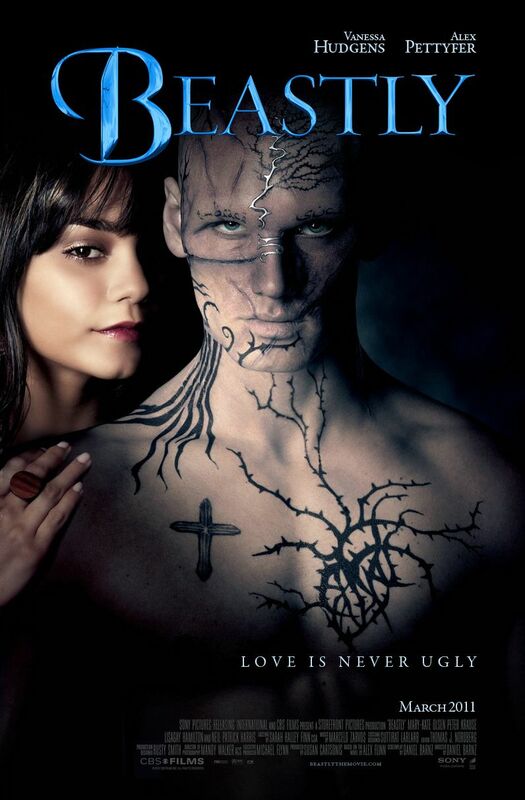 The one thing I skip out on though was the new Beauty & the Beast TV series. Mainly because that's like blasphemy to me. You're going to take my 2 main characters from a TV show that holds a part of my heart & then just jack it up... nope. I couldnt believe when I turned it on - TOTALLY STOKED about it - to find the guy looks normal. What? Peace out... mic drop... I'm done ... story over. Cant do it. But through the years, I've even read all the books that involve Beauty & the Beast... anything even similar, I'm there. Collectibles? Oh yeah... give me anything with it. My mom this year even got me a Beauty & the Beast old fashion fairy tale book of it. One of my favorite Christmas gifts. I at one time had 2 rooms with nothing but collectibles displayed. I did end up putting some up because hello - all the dusting that you have to do. UGH! But I just love all the things that reminds me of this beautiful story. So you can imagine how excited I am about this new movie starting this week!!! I can remember hearing it was coming out - in March of 2014!!! 3 years ago! Yes, I've been counting down for 3 years for this moment.... & I know I'm going to cry as soon as the lights go down. As soon as the music starts... as soon as I see the characters or hear a song. I'm going to be a hot mess. Mainly because it's just all a reminder of my growing up. A reminder of goodness. A reminder of love. Its a tale that is old as time... & its one I've gone back to again & again. Needless to say, when I hear people say they love Beauty & the Beast, or they're fans, or they grew up on Belle... I just have to laugh because in my mind, there is no bigger fan than me. Sorry. There's not. You can love it as well... but its just been embedded in my life since I first held a little Golden Book in my hands .....& the fairy tale has been a part of my heart ever since. It makes me happy to see new generations fall in love with the story like I did. OMG - I love this post!! Did you ever watch the reboot of the TV show? I watched that one and honestly had no idea it was essentially a reboot of the one from the 80s. I had no idea the one from the 80s existed until recently. Then I read what it was about and I was like...uhhh that's like almost the same thing! Oh oops - I just saw the part where you didn't watch the show! haha! Even though I'm not really a "fan," I do like the story and I watched the 80's show and have, of course, seen the Disney animated movie and the musical...my son was in high school when they did it there and he was on stage crew and learned so much due to the touring company actually lending the school the sets and costumes and special effects. Your passion for the story is delightful! Eek!! I'm so excited for you! And like I said yesterday, I would love to see this movie with you! Still planning on next weekend for me and my girls! PS - the real question is... how many times will you see it in the theater? I love the Disney animated movie of Beauty and the Beast. I so wish I had it on DVD. Such a great movie. I too love the message of the movie. Good looks only go so far, I wish more people realized that. Aw, glad you finally get to see the new movie! You look adorable as Belle! 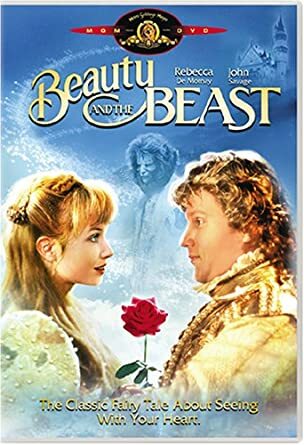 I had no idea that the Disney one wasn't the first Beauty & The Beast. Are you going to see the midnight showing? When it was released from the vault a few months ago, we went ahead and bought Baker her first copy! Can't wait to share it with her as she gets older. I was so happy to hear about your love of this beautiful story in a little bit of the background. I absolutely adore that Ricky gave you a VHS of the movie and I know what a wonderful week this is for you! I can't even tell you how excited I am for YOU. 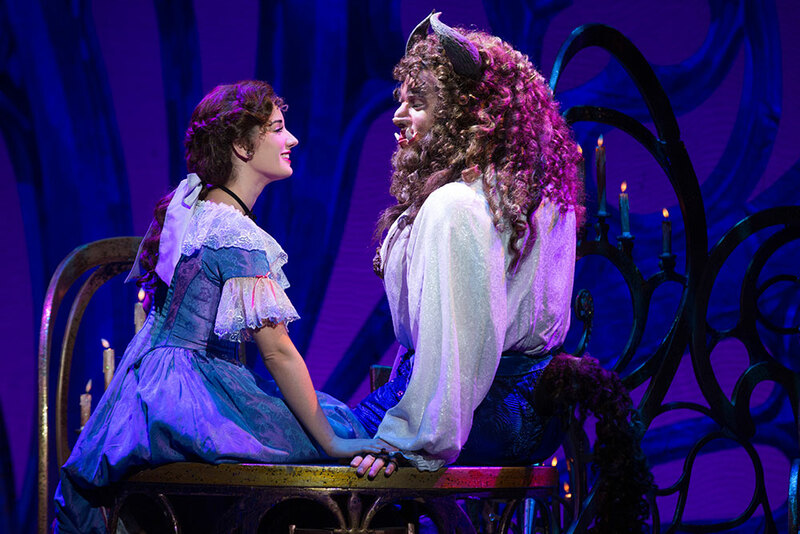 I can't wait to hear all about it on Monday and I suspect that you might even see it Friday/Saturday and Sunday, hehe :) When Mr. and I went to New York and wanted to see a Broadway play we didn't know what to see, but when we saw Beauty and the Beast we HAD to see that one. It was probably the best show EVER. We still talk about how awesome it was. Only 2 more days! Are you even going to go to work on Friday, hehe. We pulled out our DVD to watch it a few months ago and my kids couldn't believe I was singing along to all the songs and reciting some of the character lines without having seen it in a LONG time. "Kids - life lesson here: the important things just stick with you." I got two pairs of eyerolls with that. I know you'd understand though. :) I'm excited for you and can't wait to read your recap. I know your blog readers would understand if you need to take a few days to soak it all in before telling us about it ... but don't wait too long! OMG I remember Fairy tale theatre with Shelly Duvall. I didn't know it was a TV show but I remember when I would go to the video store with my parents they would let me rent those tapes (or come to think of it maybe they did record them off of tv). I just remember watching them on tape and Hansel and Gretle was my favorite. Now you have me wanting to go look that up on Youtube. I love the pic of you in the Belle dress. Was that for a child's birthday party? Do you still have the dress? 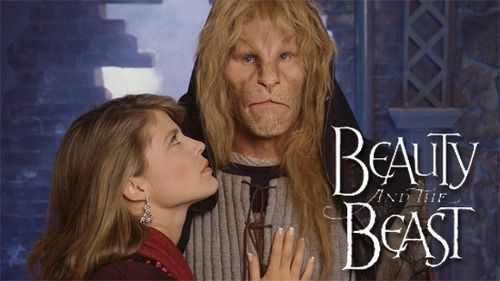 I absolutely remember Beauty and The Beast with Ron Perlman and Linda Hamilton! :D And now that you say Ricky has Beast hair - I can totally see it! 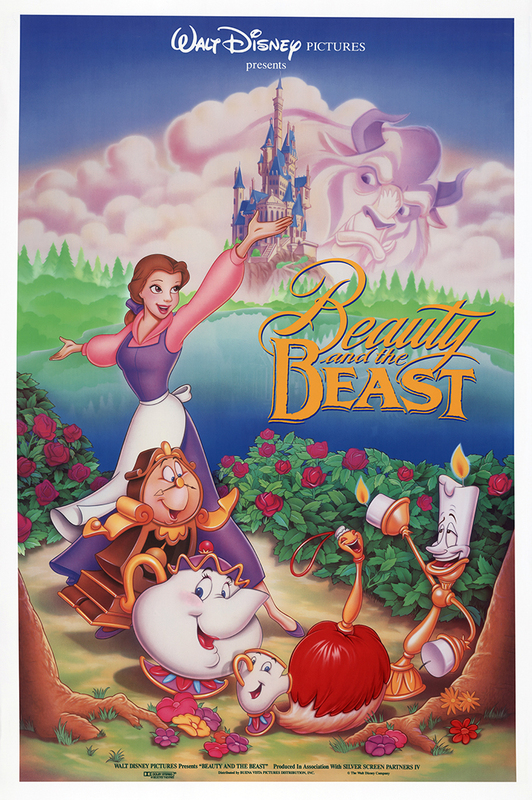 I believe I've mentioned this before but Beauty and the Beast wasn't my favorite Disney movie when it was released. I liked it but didn't love it. Later, when I revisited the movie, I loved it. I loved Belle. Her independence, compassion and love of books (of course) and the songs and the theme of looking inside resonated with me now and stand the test of time. I love you in the Belle dress. You should totally go cosplay and wear it when you go see the movie! I loved that series with Ron Perlman. So good. Now I want to watch it again. I'm hoping to see the new movie sometime this week with my youngest. Hoping she still wants to go. I need to get off here and go text her and find out. haha Have a great day! I just loved reading this so much! I hope this new movie is just as magical for you! Well, it's a good story and I did enjoy the Disney movie, but I'm not obsessed. I WAS obsessed with The Wizard of Oz when I was a kid, however. I would skip birthday parties if it was on TV. I remember the first time I got to see it on a color TV!! My life was changed! LOL SO, I understand. I do. You love Beauty and the Beast. Thanks for making me remember all the different versions of it. I have seen the Disney version soooo many times. I have seen a lot of these so many times. I can't wait for it to come out! I love this post so much because I love how much you love Beauty and the Beast. I ALWAYS think of you now when I see/hear anything about it. I still remember seeing it live in Dallas with my mom, so much fun! i love how much you love it :) i definitely love it too, but i concede that you love it more ;) i remember my mum wanted to go see menopause the musical in vegas and the only reason i agreed was because paige o'hara was in it lol but she didn't sound anything like she did in the disney movie.. understandable since like 20 years had passed. i have never seen the pink and purple dress before! very weird. Beauty and the Beast has been my favorite Disney movie for ever and ever. I have always loved it the best. But I am going to go ahead and say that your love for it makes mine look like nothing!! I love how much you know and fangirl over it! So many fun things in this post! I had no idea there were so many versions!! I remember the tv show but I never watched it. He does have hair like Ricky's!! This is so cute! I didn't know about all these adaptations! I had no idea there were so many. You are the number one fan! You truly are a fan and I love your passion for it! Your fangirl passion makes me smile. I didn't even know that some of these adaptations existed. I'd love to see the Broadway show.